Before school ended, I stocked up on some kid friendly Groupons so that I could keep my kids busy during the summer while also saving money on local activities. One Groupon I purchased was for Kiddie Park located in San Antonio, Texas. My girls had previously been to Kiddie Park 1 or 2 times, but my youngest daughter and my granddaughter were too little to remember. 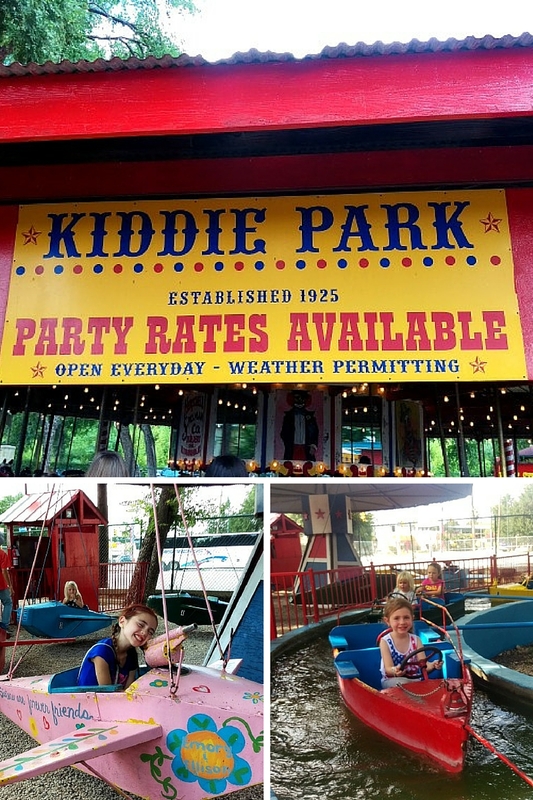 I’d love to share our trip to Kiddie Park along with some helpful tips if you decide to take your little ones. Kiddie Park is the oldest children’s museum in the country. It was established in 1925 and was renovated in 2009. The rides are perfect for kids that may be too little or too nervous to ride thrill rides. The park is fun, relaxing and a historical landmark. It is small and you can stand in the middle of the park and see where your kids are, no matter what ride they are on. 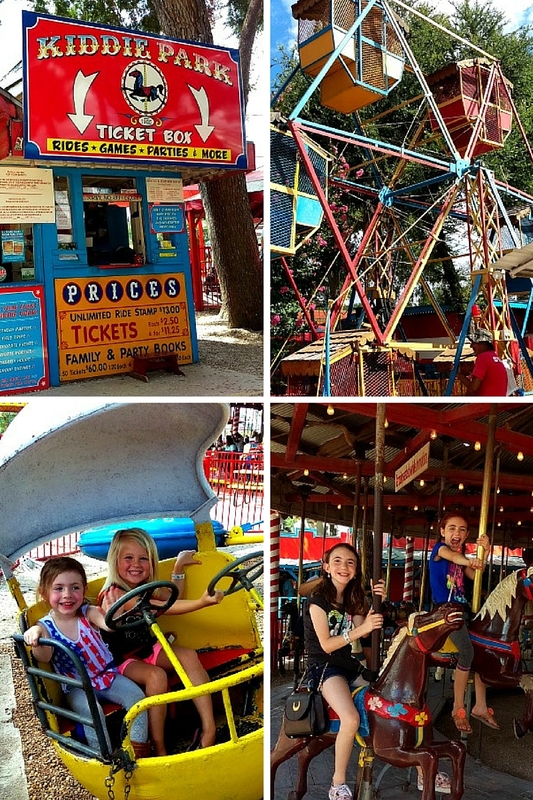 It has old fashioned kid-friendly rides that are super adorable. It is located close to downtown San Antonio, so once you are done at Kiddie Park, there is a lot of other fun places that you can go such as The DoSeum. Make sure to wear bug spray, if mosquitoes bother you. Kiddie Park has a snack bar, but the food can be pricey, so it may be fun to take a break and eat outside of the park. There are a lot of places to choose from. The parking lot at Kiddie Park is small and spots seem to be limited, so it is best to get there early. Before summer starts, I’ve noticed that each year there is a Groupon that is offered for Kiddie Park. This is the best deal, however, if you cannot find a Groupon, then purchase an all you can ride armband. During the summer months, bring water! There is a sign that says that no outside food or drinks are allowed, so you may want to sneak in the water. Here is a quick video of my girls having a fun time at Kiddie Park. Have you visited Kiddie Park? Do you have any tips that you can share?